Is waiting for the final Game of Thrones episodes making you thirsty? Then you're in luck. Brewery Ommegang and HBO have just unveiled the final beer in their Game of Thrones Royal Reserve Collection. It is called King in the North, and it is available nationwide today. There is also a new four-bottle Royal Reserve Collection Gift Pack Also Available in time for the holidays. King in the North, a beer brewed for Jon Snow, is the fourth and final beer in this year's Royal Reserve Collection, a series of four limited release beers, each designed and brewed as an homage to one of four epic figures engaged in the battle for the Seven Kingdoms. Brewed to sustain a leader through a long, dark night, King in the North is a barrel-aged imperial stout. The beer is available now at the brewery and at retail on draft and in 750ml bottles. The suggested retail price per bottle is $12.99. King in the North will be released alongside a special edition Royal Reserve Collection gift pack, just in time for the holidays. The gift pack features one 12-ounce bottle of each of the four Royal Reserve Collection beers including Hand of the Queen - a barleywine, Queen of the Seven Kingdoms - a sour blonde blend, Mother of Dragons - a smoked porter and kriek blend and King in the North - barrel-aged imperial stout. The gift pack also includes a collectible Game of Thornes glass at the suggested retail price of $24.99. Said Doug Campbell, Brewery Ommegang president. "There was only one character with whom we could end the Royal Reserve Collection. I don't think we're alone in our hopes for Jon Snow. And for those who missed one of the Collection during the year, we're pleased to offer the opportunity to get all four at once, along with a glass in which to serve them." Said Jeff Peters, vice president of licensing & retail at HBO. "We've now arrived at our fourth and final Royal Reserve beer which celebrates Jon Snow with a big, bold, barrel-aged stout for the long cold nights to come," said Jeff Peters, vice president of licensing & retail at HBO. "We expect this one to bring our fans to their feet to toast the King in the North!" Founded in 1997 on the site of an old hop farm near Cooperstown, NY, Brewery Ommegang brews imaginative beers in a wide variety of styles, with particular emphasis on Belgian brewing traditions. You can check out the beers in the images below provided by HBO. 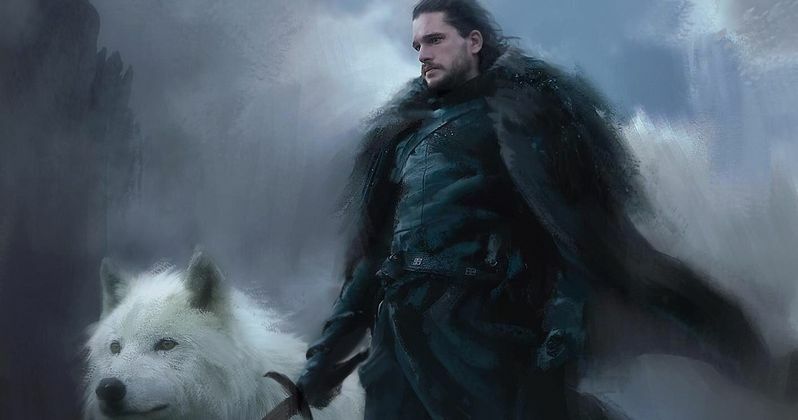 All-new Game of Thrones episodes will debut sometime in 2019 as the series comes to an end.